Chanel is opening a café in central Tokyo, giving visitors the chance to drink coffee and try on lipsticks. The Coco Café, which launches today (3 March) in Omotesando at the So-Cal Link Gallery, is aimed at introducing a new line of Chanel lip glosses called Rouge Coco Gloss, available in Japan for the first time from mid-March. 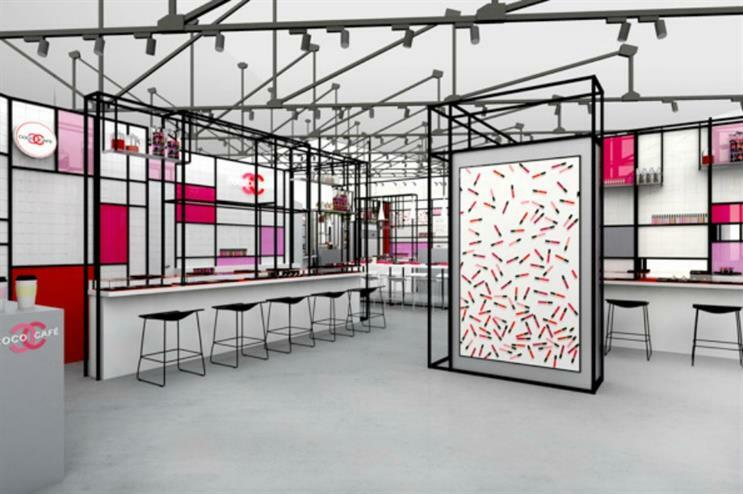 The pop-up will give visitors the chance to try the range before it officially launches, with 24 varieties on show, and they will also have the opportunity to purchase products. The pop-up is decked out with Chanel-themed decor and also features an interactive touchscreen wall and will be open until 12 March. In 2015, Chanel offered visitors to its Mademoiselle Privé exhibition, which opened within London's Saatchi Gallery in October,the chance to take part in hands-on workshops.